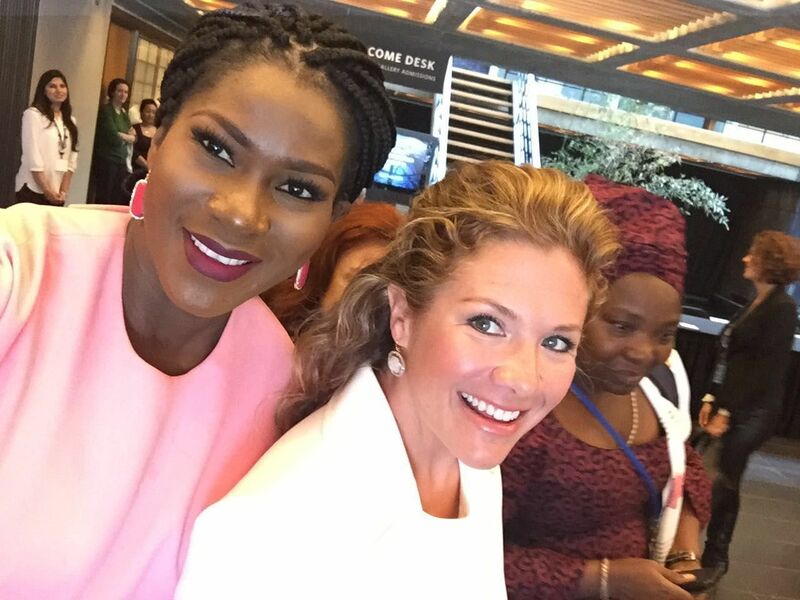 Stephanie Linus, Canadian First Lady Sophie Grégoire Trudeau & First Female U.S. Secretary Of State Madeleine K. Albright Speak At #NotTheCost Conference in New York. Star actress and celebrity ambassador for NDI’s Stop VAWIE campaign in Nigeria – Stephanie Linus – was a special guest at the ‘#NotTheCost: Stopping Violence Against Women In Politics’ Conference which took place in New York, U.S.A recently. 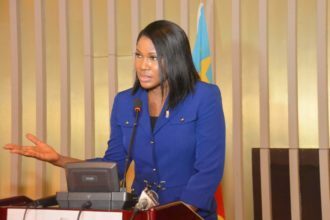 The Global Call to Action to Stop Violence Against Women in Politics was organized by the National Democratic Institute (NDI), a nonprofit, nonpartisan organization working to support and strengthen democratic institutions worldwide through citizen participation, openness and accountability in government. 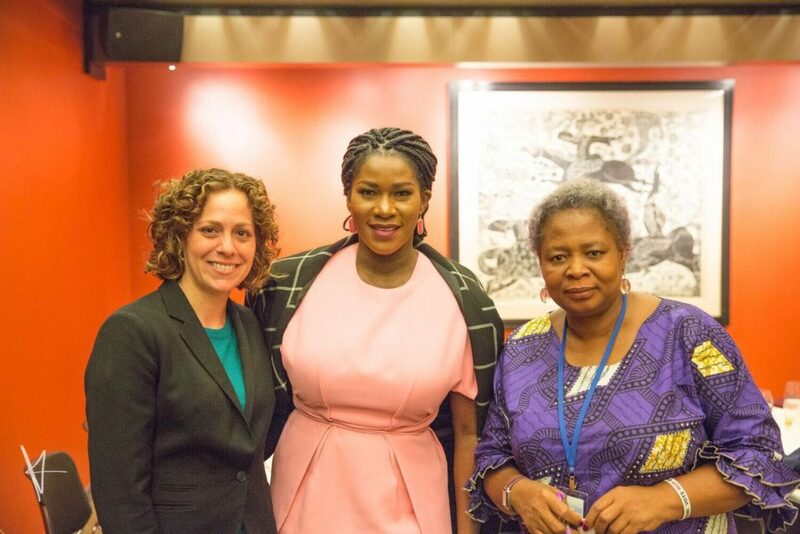 The event was attended by the U.S. Secretary of State and NDI Chairman Madeleine K. Albright as well as Madame Sophie Grégoire Trudeau, women’s rights activist and wife of the Prime Minister of Canada. Other special guests were Dr. Juli Minoves Triquell, president of Liberal International; Alejandra Mora Mora, minister for the Status of Women in Costa Rica; Khadija El Morabit, vice president of the International Network of Liberal Women; Irena Hadziabdic, IFES Board Director and Purna Sen, director of the Policy Division at UN Women. The conference was the starting point for a global movement where women from across the world spoke about the violence they faced while exercising their democratic rights and voiced their resolve to put an end to it. 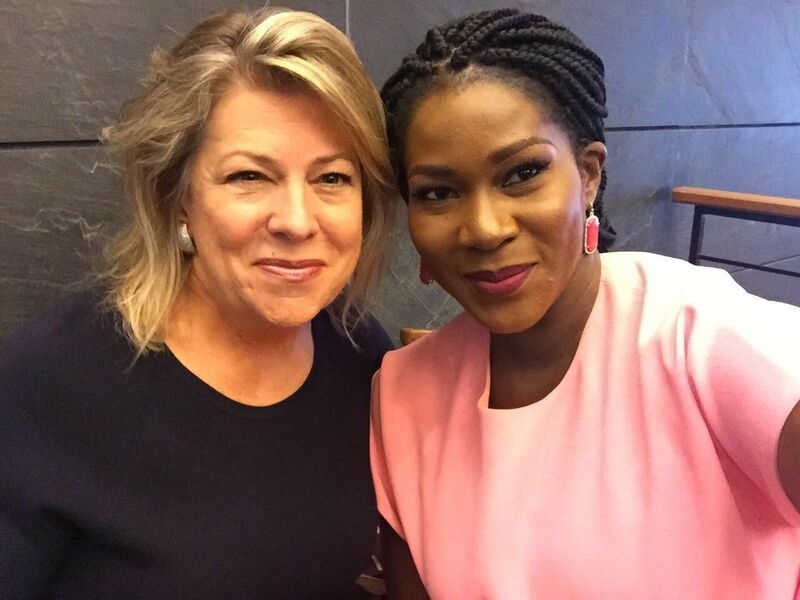 During the conference, Stephanie Linus played a key role where she introduced the Global Call To Action, and encouraged everyone to work towards making a difference. “We can stand here in New York and talk, or we can go out into the world and make a difference to the lives of women who want to be voices in their nation” she said during her presentation. 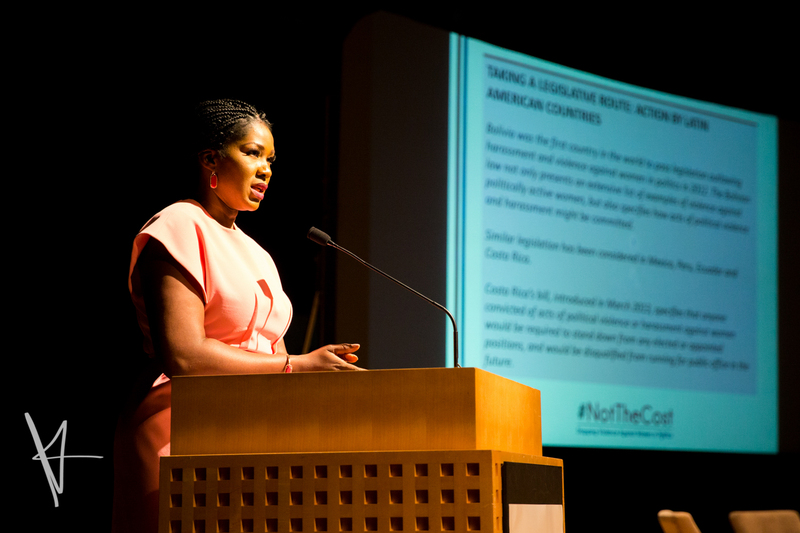 As a women’s advocate, Stephanie Linus continues to champion several causes against the exclusion and under representation of women, and strongly believes that all violence against women is wrong and must be stopped.